Fantastic Development Opportunity! 346 ft of Direct frontage on high traffic HWY 17, aka Olympia Ave. Approx. 3.8 acres located mile from I-75. 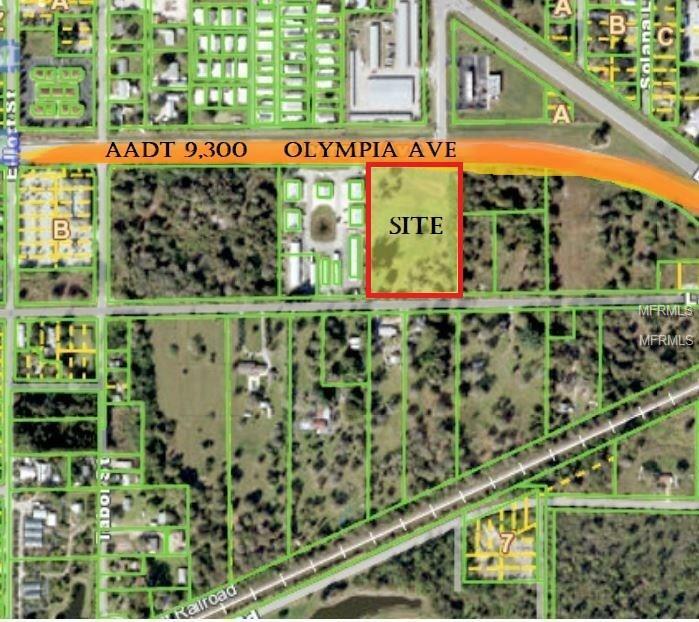 Broad CG Zoning allowing for retail, marina, self-storage, building trades, industrial, vocational, financial, senior living, medical uses and the list goes on. Extensive CG Zoning uses, and survey attached. Potential corner-FDOT traffic light possible. City water and sewer available. Approx. 1 mile to Downtown Punta Gorda. Charlotte County and Punta Gordas growth is incredible with a population of 182,000 in the county and 20,000 in the city. Call us with your questions anytime! Listing provided courtesy of Nexthome Greater Realty.